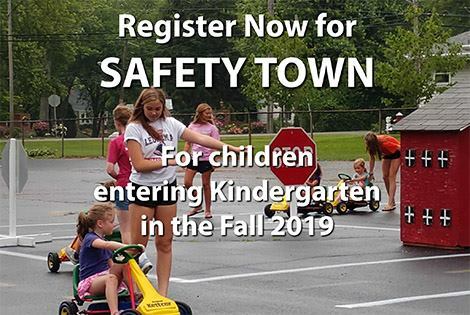 Safety Town is a single two-week program, June 10-13 & June 17-20, 2019 – for children planning to enter Kindergarten in the Fall 2019. Planned curriculum, combined with fun activities, help children learn important safety lessons. Pre-registration required — more information here.